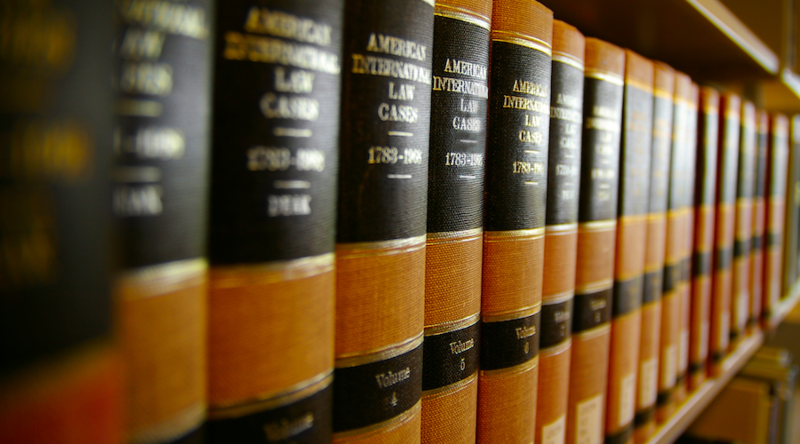 The Stanford Law School (SLS) Registrar manages around 400 different courses each year. Some courses (and their descriptions) remain the same; some change drastically. Course management was done through forms and emails and was very time consuming, hard to track, and prone to errors. Stanford provides Axess, a course management system. However, Axess does not provide the capability for course review and instructor revision that the SLS Registrar must navigate through every year. It was clear that the SLS Registrar needed a better workflow app to allow them to do their work quickly and effectively, without introducing human error wherever possible. Instead of sending out emails, they needed to be able to free up their time for other important work: and the system would follow up with professors on their behalf! The new system allows the Registrar's office and instructors to communicate efficiently within a single system throughout the course approval process. It imports courses that are entered by the Office of the Registrar into the central Stanford course management system, Axess. It allows instructors to edit course/sections descriptions directly on this website. Then, notifications are sent out to all parties involved in the course review and approval process. 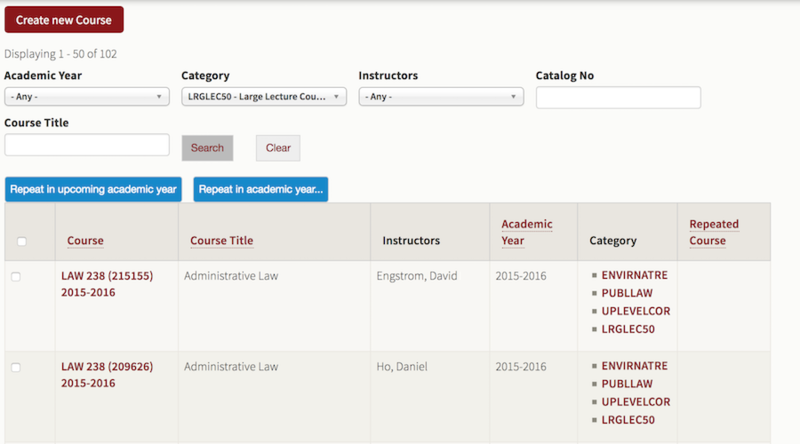 In addition to improving course description workflow, the system also keeps track of past and upcoming in academic year descriptions, units, and more course details, as well as allows the Registrar to add categorization of courses not available in main system. Reports are produced in a printer-friendly format, allowing the Registrar to review and track everything from students to courses.